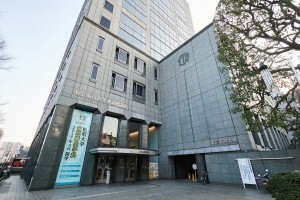 The Department of Ophthalmology at Tokyo Dental College Suidobashi Hospital opened in 2000, and is conveniently located in front of JR Suidobashi Station. In addition to general ophthalmology services for adults, we provide several types of refractive surgeries such as LASIK and phakic intraocular lens (IOL). Professor Hiroko Bissen-Miyajima, department chair, specializes in cataract and refractive surgery, and her reputation as a skilled surgeon is well known around the globe. We examine for overall ocular health, perform LASIK, and advanced cataract surgery with the latest lens implants, as well as offer treatment and surgery for retinal diseases. Our eye specialists serve the needs of our patients and perform state-of-the-art surgeries, with the most advanced procedures available. We strive to consistently adapt to the latest and most advanced technologies, techniques and a variety of diagnostic tools, and inform such information to our patients. We look forward to providing you with the ophthalmic care appropriate for your needs. Take the East exit and turn right, crossing a narrow road. Suidobashi Hospital is the large gray stone building on the right-hand side. Take exit A2, cross the street at Suidobashi Crossing, walk straight towards and past the JR station. Suidobashi Hospital is the large gray stone building on the right-hand side. Parking space is limited and has to be reserved in advance (by telephone). We recommend public transportation if possible. Also, please note that driving may be contraindicated due to ophthalmic examination or treatment. Call (or E-mail) the eye clinic to make an appointment. Hospital Reception and Accounting is located on the 1st floor. Please arrive early to allow time to complete the paperwork. Show your Japanese insurance card if applicable. After receiving your patient number and file, proceed to the Eye Clinic located on the 3rd floor, and check-in with the receptionist. ・Sunglasses in the event your eyes are dilated. Examination for cataract surgery: After the initial eye examination and consultation, a physical examination is necessary that includes blood collection, urine test, electrocardiogram and chest X-ray. Examination for refractive surgery: Contact lenses alter the shape of the cornea. In case a person uses contact lenses, he or she should stop using them for a few days before the examination and surgery. For the soft contact lens type, one should not wear them for two days prior to the examination (and refractive surgery). For the hard contact lens type, one should not wear them for five days prior to the examination (and refractive surgery). It takes about three hours for the initial eye examination and consultation. After that, a sample of your blood is taken. Dilation: If you feel any visual disturbance, blurred vision or floaters, or if you have hypertension or diabetic mellitus, you should have an annual dilated eye examination in which eye drops are used to dilate the pupil. Most patients require about an hour for the examination, which will include a thorough fundoscopy. After this exam, the pupil will remain dilated for 3~6 hours. Driving with dilated eyes is very dangerous, so please visit the hospital by public transportation. Dr. Hiroko Bissen-Miyajima serves as Department Chair and Professor of Ophthalmology at Tokyo Dental College Suidobashi Hospital, Tokyo, Japan. She specializes in cataract and refractive surgery, and her reputation as a very skillful surgeon is well known around the globe. She has won many major video awards in the area of cataract and refractive surgery spanning a period of 20 years. While living in a traditional Japanese culture, she encourages her female colleagues to pursue the possibility of playing roles as physician, wife, and mother. Dr. Manabu Hirasawa graduated from Keio University School of Medicine. After his residency at the Department of Ophthalmology, he worked at National Saitama Hospital as the director of the department for two years and at Yokohama City Hospital for two years. He brings his experience in treating a broad range of ophthalmic diseases since joining our team at Suidobashi Hospital in April 2011. In addition to his full schedule of outpatient clinics and surgeries, he continues his basic research regarding the pathology of macular degeneration at Keio University. Outpatient Clinic: Monday, Wednesday, Thursday, and 3rd Saturday of the month. Dr. Saori Yaguchi graduated from Showa University School of Medicine and received her ophthalmology training in the Department of Ophthalmology at Keio University Hospital. Before joining Suidobashi Hospital, she worked at Kitasato University Kitasato Institute Hospital and Saiseikai Central Hospital. In 2013, Dr. Yaguchi earned her PhD degree at Keio University with a research focus on the lacrimal gland, and has actively presented several research results at conferences. Outpatient Clinic: Monday, Wednesday, Thursday, and 1st & 5th Saturdays of the month. Dr. Makoto Inoue graduated from Keio University School of Medicine, and he undertook a research fellowship at Duke Eye Center in North Carolina, USA. After receiving his doctoral degree in ophthalmology from Keio University in 2003, he joined the Vitreoretinal Service as a faculty member at Keio University Hospital. In 2007, Dr. Inoue transferred to Kyorin University where he serves as clinical professor. He is well known as one of top vitreoretinal surgeons in Japan, and he works at the outpatient clinic and day surgery at Suidobashi Hospital. Outpatient Clinic: Thursday (twice a month). Please confirm the scheduled day with the clerk. Dr. Kunihiko Nakamura received his MD from Keio University School of Medicine and continued there as a resident and fellow in the Department of Ophthalmology. In addition to serving as director of Tanashi Nakamura Eye Clinic, he holds the positions of assistant professor at Keio University School of Medicine and Tokyo Dental College. He is well known for his high skill as a surgeon, especially in the field of cataract and refractive surgery. Following Dr. Suzuki’s graduation from Nippon Medical School he completed his ophthalmology training at Yokohama City University. Currently, he is director of Totsuka Ekimae Suzuki Eye Clinic in Yokohama. Dr. Suzuki is known as an all-mighty surgeon for both cataract and retina. He has extensive experience in multifocal intraocular lenses and LASIK. Outpatient Clinic: First Friday of the month. Dr. Seika Den-Shimazaki received her MD from Osaka Medical College and continued there as a resident and fellow in the Department of Ophthalmology. In 2003 she joined the team at Tokyo Dental College Ichikawa General Hospital, and currently serves as director at Shimazaki Eye Clinic. Dr. Den-Shimazaki specializes in conjunctivochalasis, and corneal diseases, especially dry eye. Outpatient Clinic: Monthly on Friday. Please confirm the scheduled day with the clerk. Copyright © 東京歯科大学水道橋病院眼科. All Rights Reserved.